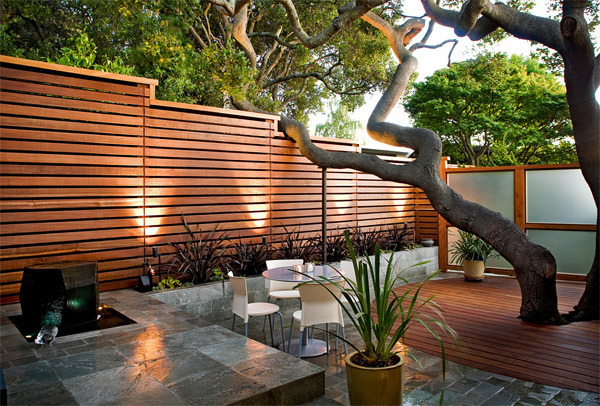 When you are decorating a house, never forget about the benefit of a great outdoor. 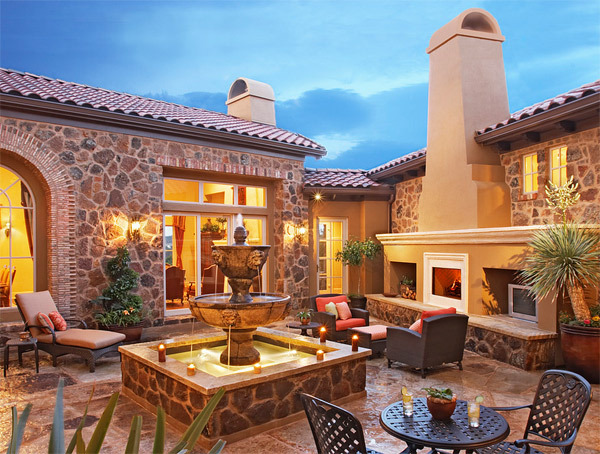 Patios are considered as the extension of your indoor living room. This area is competed with lounge furniture, dining tables and of course the lightings; but all decor decisions depend on the style you want to have. Although, you should bear in mind that you must decorate it as a place that functions for cookouts and fancy soirees or a peaceful place to relax. 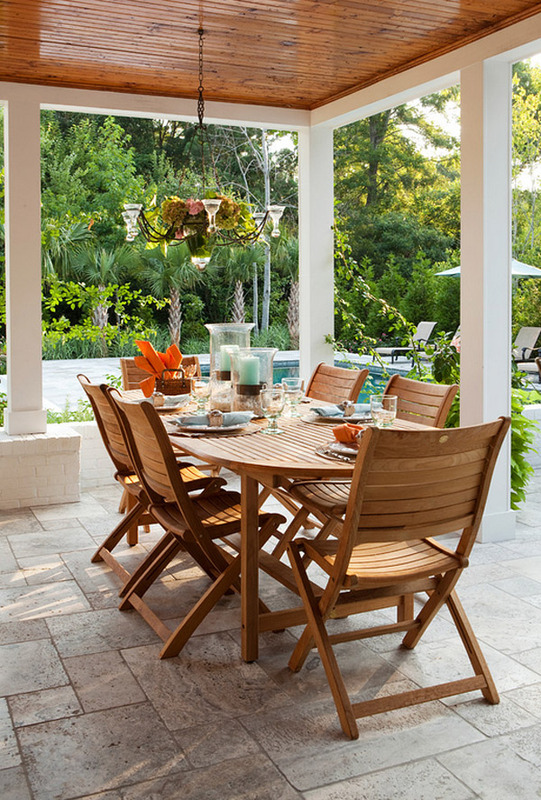 Sometimes patio spaces are over looked for many reasons; others are tired to think of ways on how they would decorate it perfectly, some would run out of ideas. 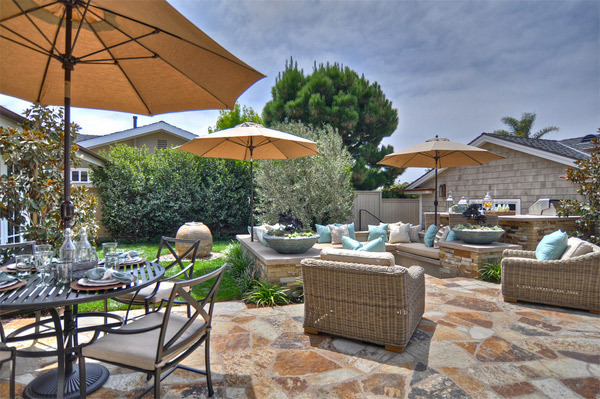 Actually, there many ways on how to design a patio; but of course, you want the best and we’ll do our best to deliver. You must always remember that in designing your spaces, it is better when you design it by yourself especially when you are creative enough. Though it is more effective when you seek the help of professionals or might just get some informative ideas from books or blogs. 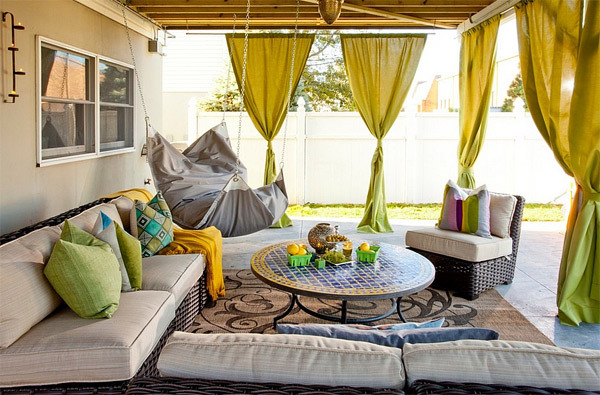 Whatever your preference may be, we have gathered here some ideas on how would you turn you outdoor patio into a relaxing space. I’m sure these ideas would help you a lot. Never forget to add a water accent in you patios, water brings a peaceful and serene feeling, a water fountain is one of a great idea. 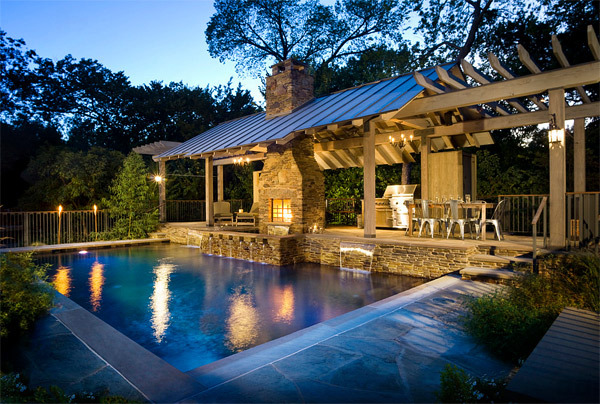 If ever water fountains are not your choice, swimming pools can be also an option. In which it would offer a greater sense of relaxation. Summer is the perfect time to be outdoors. 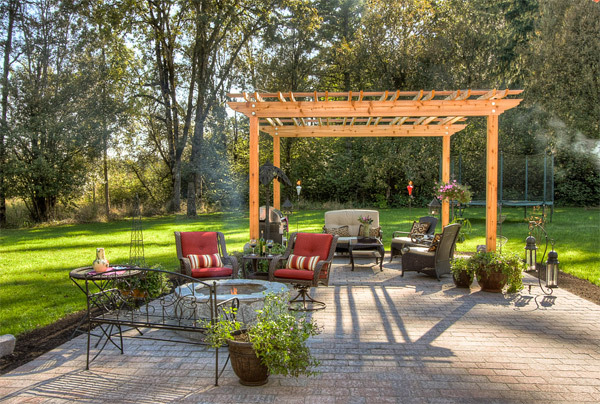 To have a little shade from those rays of the sun try to cover the area with pergola. Style it with rugs or carpets. This would bring additional style on your spaces; since it comes from a different variety; try to choose the best color, texture or appearance that would fit with the design of the space. These would be a perfect accent for your patio spaces. 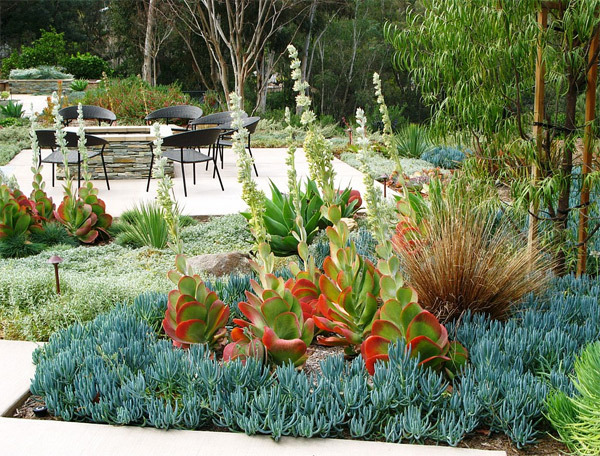 Tropical plants have that refreshing sense that makes the area very comfortable and brings a clean air. 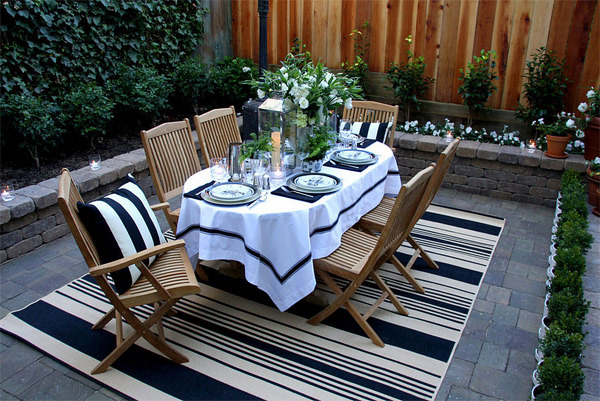 Of course privacy is also maintained in this area especially during gatherings. A fence is the easiest idea to seclude the area. Market umbrella is an additional decor and at the same time may provide also enough shade from the hot shining sun. Never underestimate the aroma of flowers. The fragrance of flowers makes your patio worth staying for especially for your guests. 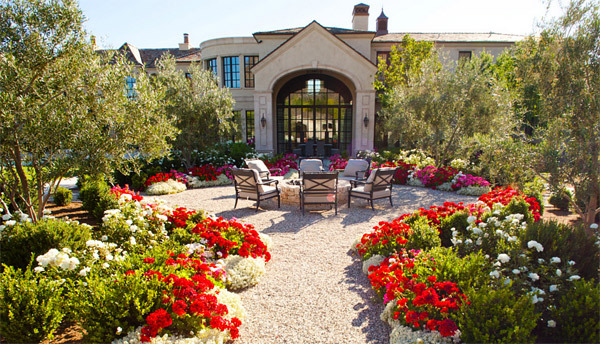 Not just that, flowers make-up a perfect landscape for you patio. 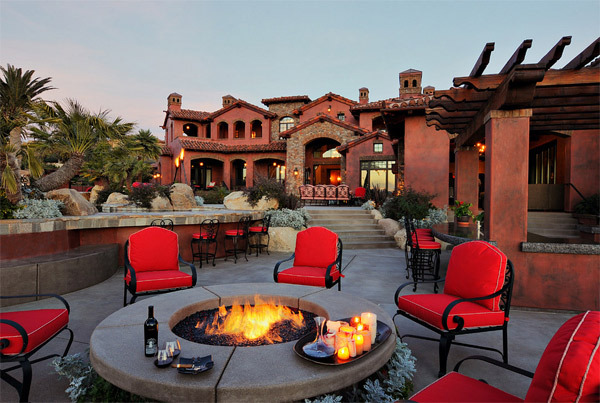 It is more enjoyable and exciting when you gather your family, friends and guests around a fire pit. 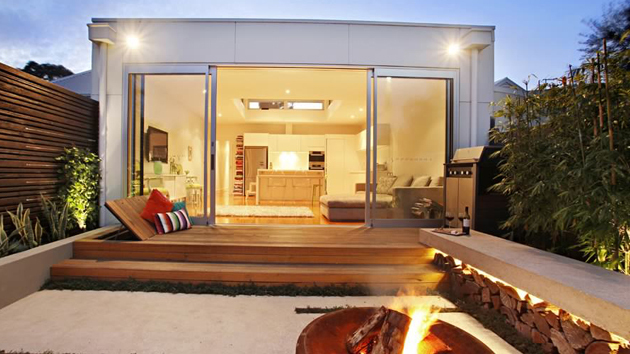 Light-up the fire pit then open a bottle of wine, toast hotdogs and marshmallows, and have a cheerful conversation. 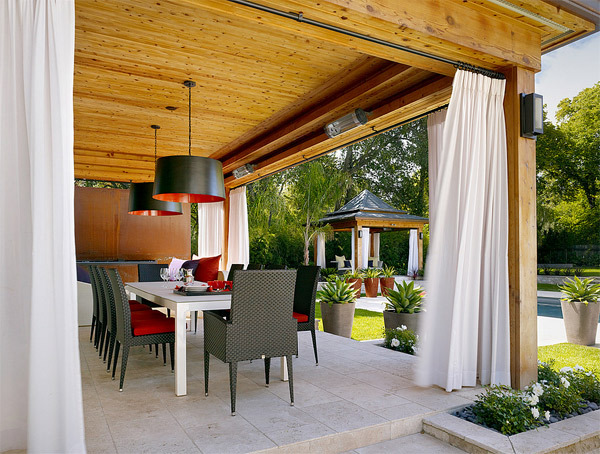 To a more sheltered and decorative patio, try to decorate your pergola with white draperies. You can just close it during formal dinner parties and can easily be opened when you need more fresh air. There is always fun behind interacting with animals. 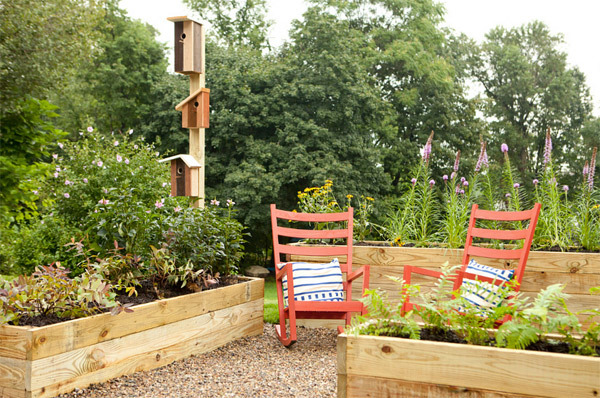 Attract birds by adding up bird feeder, you’ll get to enjoy the feeling when you feed them. 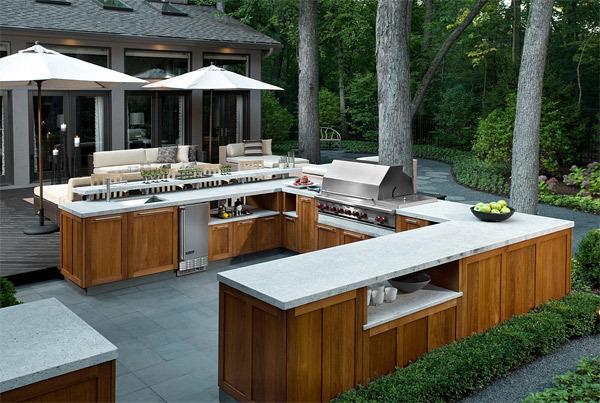 You must not forget that patio is an outdoor area perfect for outdoor gatherings, so then you can add an outdoor kitchen for a more entertaining place. 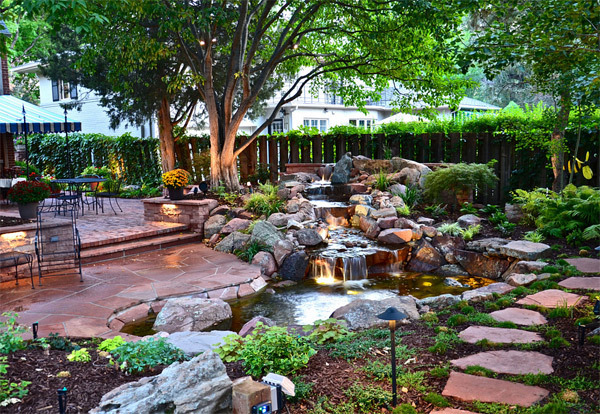 But of course, ponds add a dramatic sense to a patio. Picture how beautiful it would be when you got a garden of beautiful flowers and at the edge is a waterfall that descends making a pond. Really an attractive view! Nothing can ever beat the warm feeling that vibrant color gives to a space. 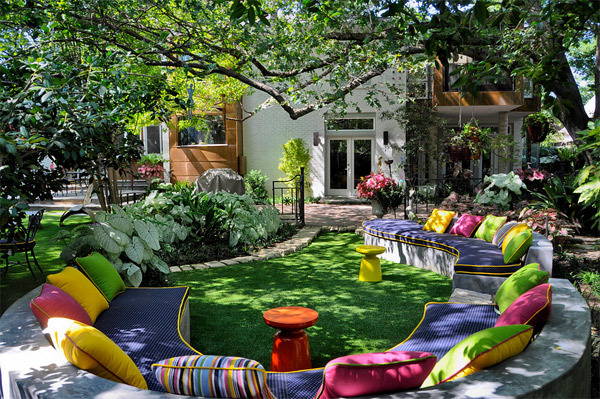 Colorful pillows and cushions can change the overall mood of your patio. 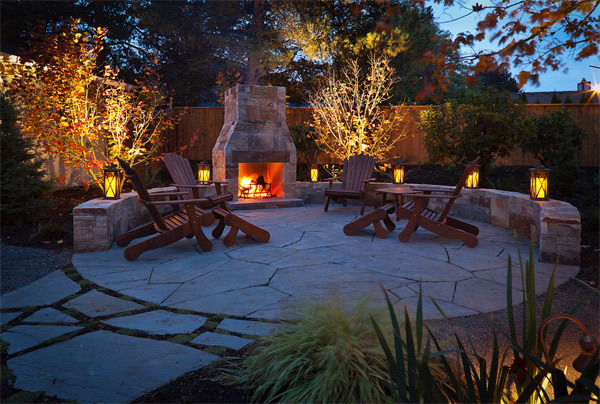 It is important to lighten up your patio, more importantly during evening. Try to add decorative lightings just like lanterns, chandelier, candle lights and any other lighting that you think would uplift the beauty of your spaces. 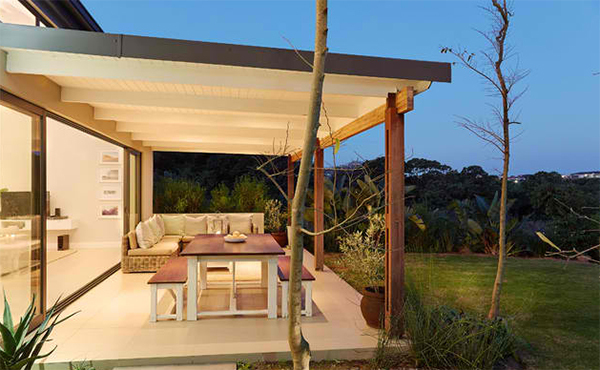 Of course, if you got a kitchen for your outdoor space automatically it must have also a dining area to enjoy a sumptuous meal with your family other guests. Always and never forget to provide a space for a more comfortable leisure. Make your patio an extension of your home, therefore, sofa set would be a brilliant idea and would give you so much comfort when you relax. 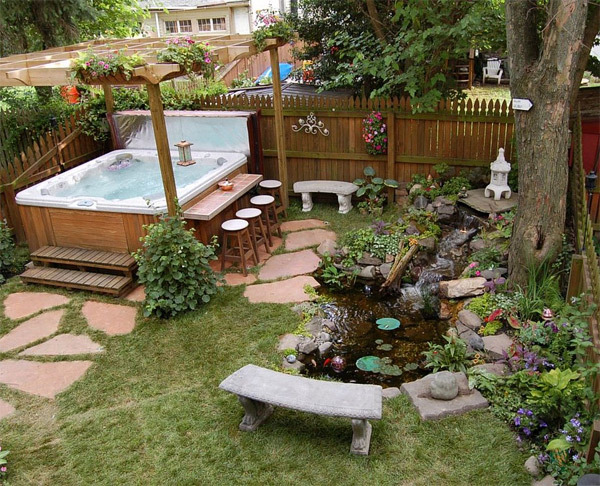 Nothing is more inviting when like having hot tubs in your patios. Aside from a swimming pool, hot tubs can also be an additional feature for your patio especially when you wanted a more private time to relax after a long day. 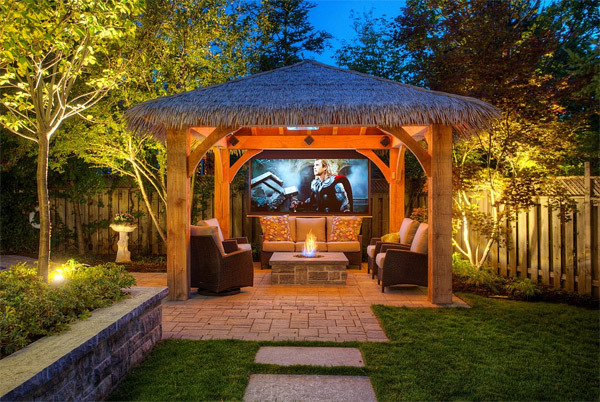 A theater installed to your outdoor or patio would be a brilliant idea and undoubtedly will be enjoyed by everybody, especially during family gatherings. Swing your moments with a hammock! Oh, surely you would love you lie and relax in there. , in which you’ll get a newer look of style, furniture and decor.